Many types of shrubs benefit from a yearly pruning in the fall. You can enhance your plant’s general health by cutting off branches that are dead, damaged or diseased. You can also help your shrub to maintain a pleasing shape by pruning it in the fall. Safety and security are other reasons to develop good pruning habits: if a plant obscures an entrance to your house, it provides cover for prowlers. When you prune flowering shrubs properly, they will respond in spring and summer with an improved display of blooms. Pinch off the ends of shoots before they become woody. This practice helps to encourage the shrub to become bushy and reduces your work, because it means you needn’t do more extensive pruning later. You can pinch off shoots at any time of year. Head back by cutting off the ends of woody branches to a bud or another branch. This practice forces the growth of shoots below the cut, resulting in a denser shrub. Thin your shrub by selectively cutting off branches—when you thin a shrub, you do not affect its overall appearance. Cut branches back to the main stem and select the shrub’s oldest and tallest stems before you thin any other growth. This practice works best in combination with some heading back in order to encourage the shrub to remain compact and not straggly. Prune to renew your shrub by cutting your shrub’s oldest branches all the way to the ground. Leave younger, more robust branches, but cut off any stems smaller than a pencil’s diameter. Some shrubs benefit from severe renewal pruning every year—with this method, you cut all of the shrub’s branches down to a lower height. Shear with hedge clippers to cut the ends off most of the shrub’s branches. When you shear, this method is best suited to shrubs you want formed into hedges. If your shrub is deciduous, wait until it loses its leaves before you severely prune it. Plants that benefit from thinning include magnolia, crape myrtle, smoke tree, viburnums, lilac and spireas. Plants that benefit from renewal pruning include abelia, mock orange, dogwoods, deutzia, spirea, butterfly bush, forsythia and weigela. Do a little research to determine the best time of year to prune your particular shrub. 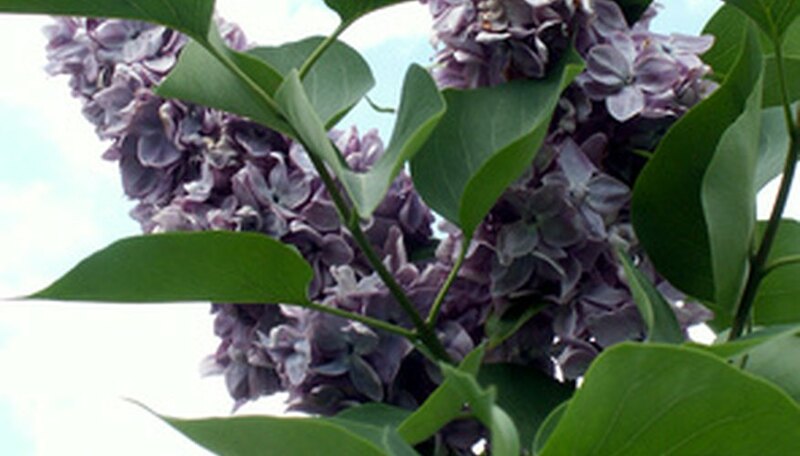 For example, prune shrubs that flower in summer and fall in the spring. Examples of these plants include abelia, butterfly bush, beauty berry, crepe myrtle, Rose of Sharon and summer sweet. Prune hydrangeas in summer, as soon as they finish blooming. When you prune diseased growth from your shrub, disinfect your cutting tool between cuts by dipping the blades into 1 part bleach mixed with 9 parts water. Avoid pruning shrubs in late summer---for many types of shrubs, wait until fall because they can send out new growth if you prune too early. This can result in the new, tender growth becoming frost damaged. Avoid cutting off forming flower buds.